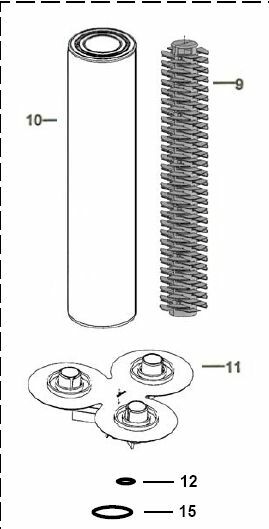 Jacuzzi Triclops TC440 Filter Element Assembly cartridge swimming pool replacement. This kit includes the internal assembly for the new Triclops filter and a set of three cartridges. The old style cartridges were oval/triangular in shape and are now Obsolete. The new style cartridges are now round and have a larger square footage area which will provide much better filtration. The new assembly includes 3 cartridges, 3 Standpipe Support Assemblies, 1 Manifold, and O-Rings.